Whole Bean Coffee for the coffee enthusiast, Coffee from Puerto Rico. The best Coffee and a delicious taste of Gourmet Coffee from Puerto Rico. El mejor Cafe de Puerto Rico en grano, Cafe Gourmet de Puerto Rico. 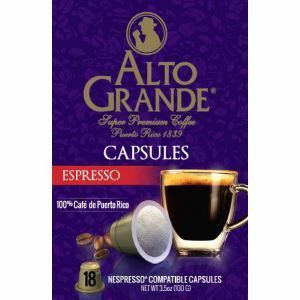 Cafe Alto Grande from Puerto Rico, Alto Grande Whole Beans Coffee from Puerto Rico.